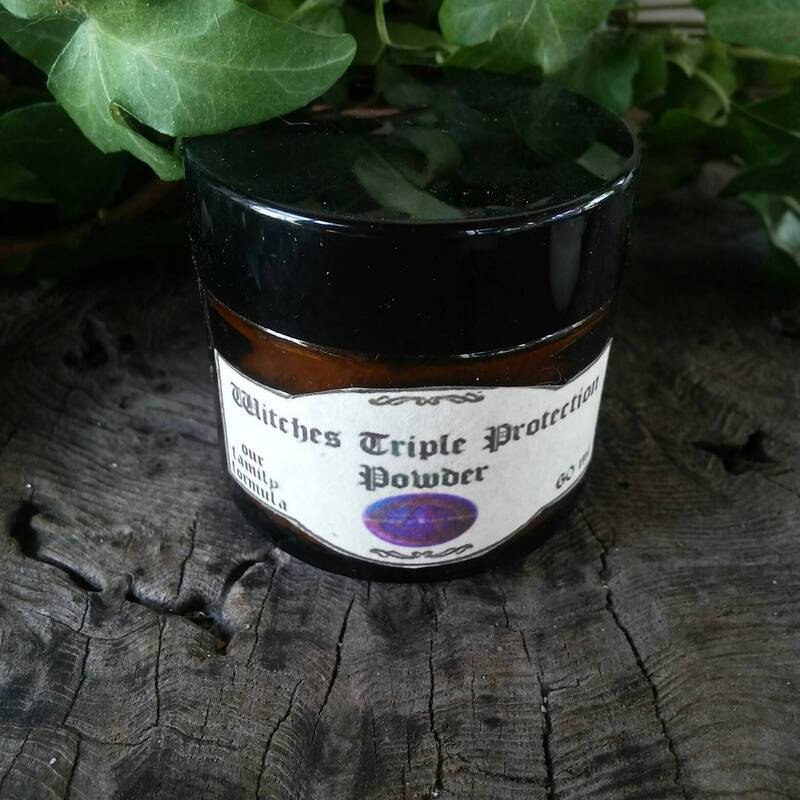 During the full moon moon phase, I make our Witches Triple Protection Powder. This newest batch was recently made during the three days of the waxing moon phase til the Super Blood Wolf Full Moon. 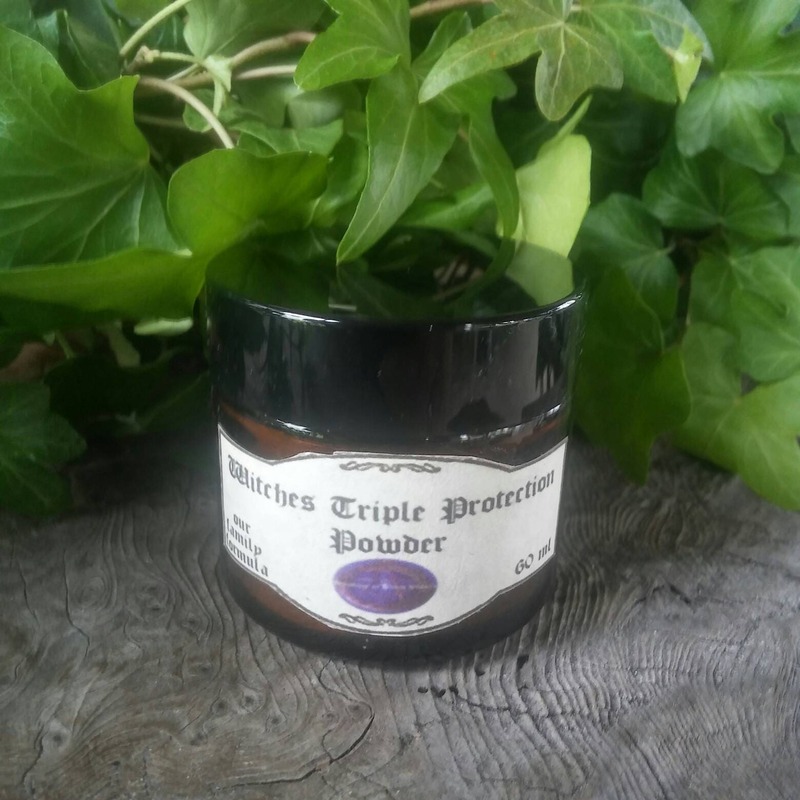 The blessed and charged powder, is ready for use during any ritual in which you want to increase the power and protection of your circle, altar, self, or tools. You may sprinkle it or just divide the contents into 4 small bowls for each quarter. This way, you can re-use it after re-blessing and re-charging it on your altar at least a few times. 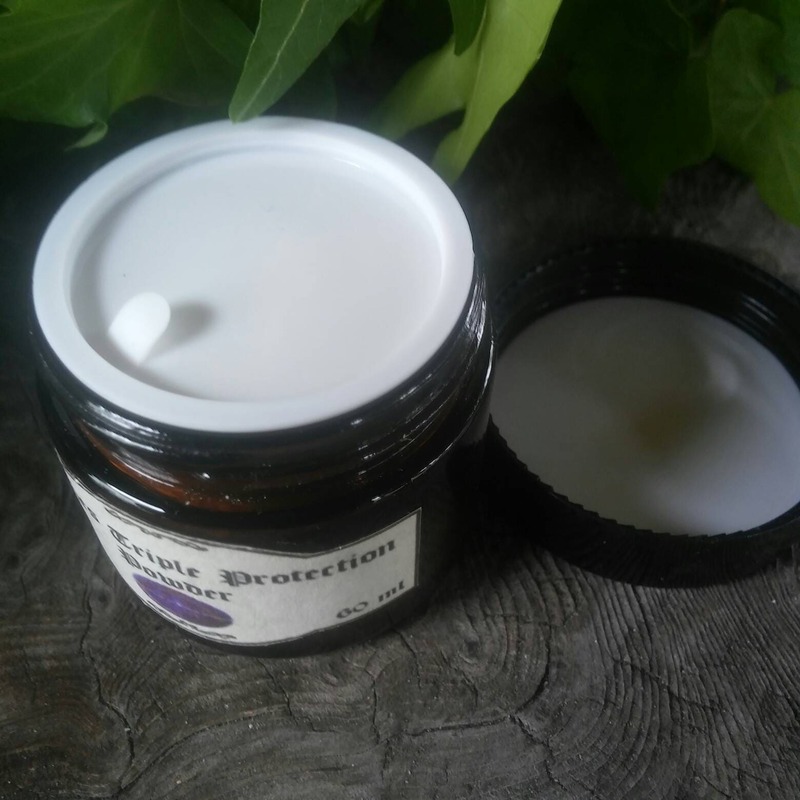 You may also use it in a protective sachet-type amulet to carry with you. 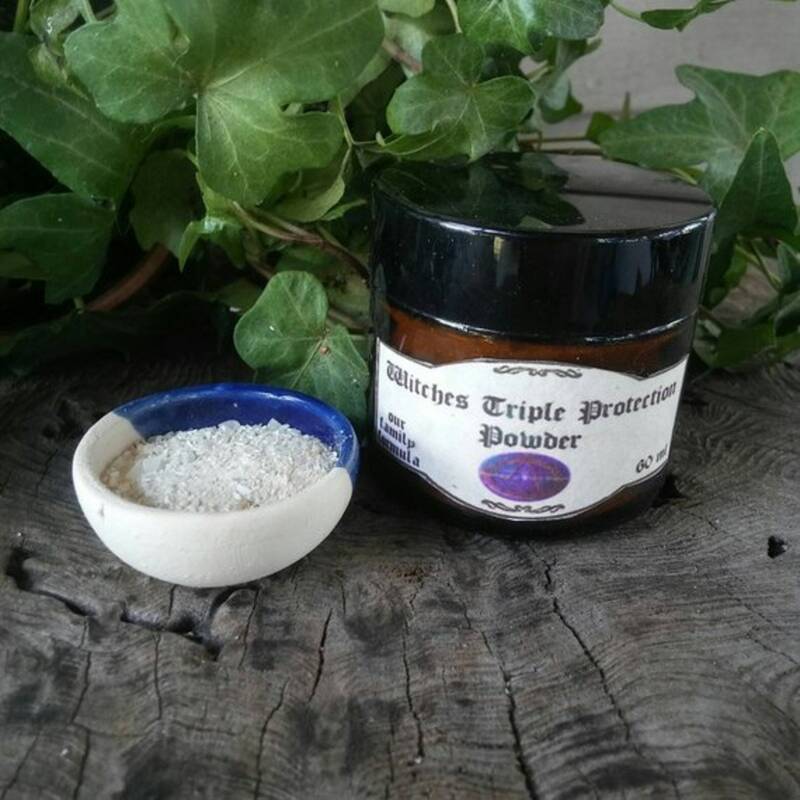 Because of the ingredients, it is quite powerful in fertility ritual invoking triple moon Goddess Hecate. Some like to use it on the blade of their athame in certain unbinding or exorcism rituals. There are many uses in the wicca and pagan community and perhaps you'll find one perfect for your own occult use that no one else has ever thought of. 60 ml jar. For Witchcraft supply: The powder takes a lot of work to make, as two of the 3 main ingredients are quite difficult to grind by mortar and pestle, therefore, there will only be 1-3 per month listed. Once they are gone for one month, you will, unfortunately, need to wait until after the next full moon. 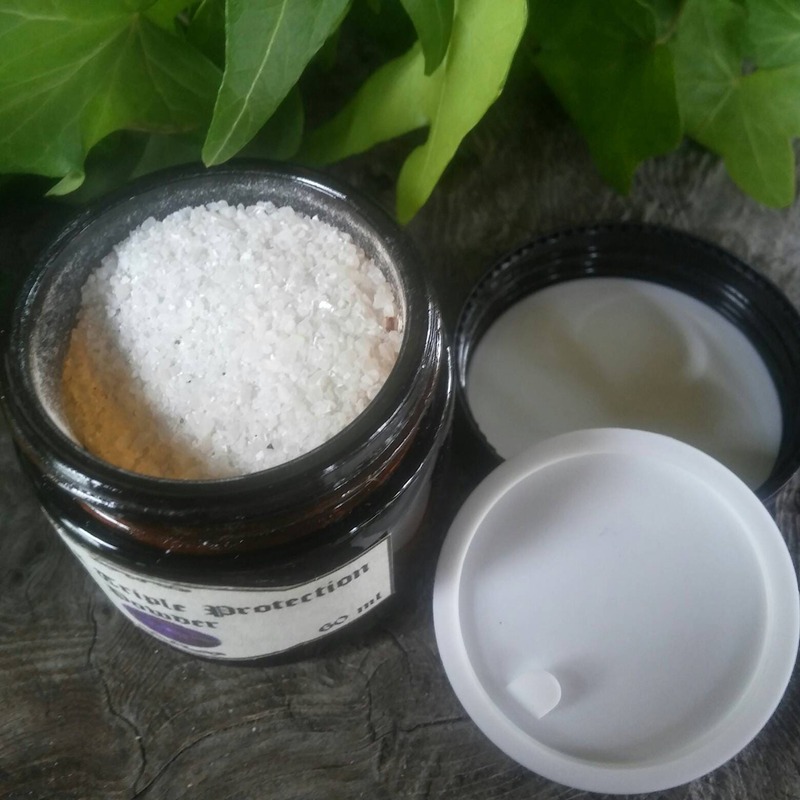 If you should want to purchase more than 3 the next full moon, please convo me a week ahead of time so that I can make certain the amount you need can be prepared. I will let you know when I put up the listing so you can make your purchase. It is most useful during ritual for protection, unbinding, fertility, love, rain, money, family, and consecration. None of the ingredients should cause allergic reaction, nor are they poisonous. However! Do NOT ingest (eat, drink, or by any other method). As with all preparations, use common sense and used as directed above.